1. Canada’s Long Cold Winter – While much of the country shivered under cold and snowy conditions, Southeast New Brunswick was actually rainier and slightly warmer than normal. 2. Summer Flooding in the Eastern Prairies – Too much rain too fast over too many days led to extensive flooding in Manitoba and Saskatchewan. 3. Wildfires in the West and Northwest – Exceptional warmth and dryness led to an abundance of wildfires in British Columbia and the Northwest Territories. 4. The Nightmare Before, During and After Christmas – A series of snow and ice storms in late 2013 and early 2014 left thousands without power for days from Ontario to Atlantic Canada. 5. Summer – Hot on Coasts, Cool in Centre – While British Columbia and Atlantic Canada enjoyed above normal temperatures, it never really got that hot or hazy in Ontario. 6. 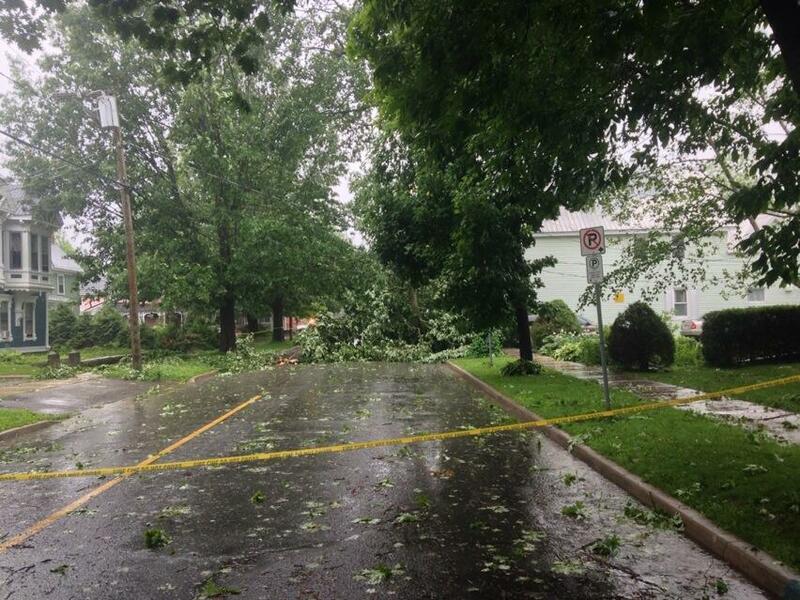 Hurricane Arthur – The first hurricane of the Atlantic season in early July packed a punch in the Maritimes with hundreds of trees toppling over on power lines leaving many in the dark for days. 7. Alberta Hailstorm – A series of thunderstorms in early August moved across Southern Alberta producing tennis to baseball-sized hailstones and covering the ground like snow. 8. Powerful December Storms on Coasts – Three storms in rapid succession battered the Pacific coast while an East Coast deluge delivered 150 mm of rain in Greater Moncton over two days and caused extensive flooding. 9. Ontario Tornadoes – The province recorded 19 this year with the worst twister in Angus near Barrie on 17 June which damaged more than 100 homes after peak wind gusts up to 220 km/h. 10. Snowtember in Alberta – The so-called snow event brought summer-like temperatures to a screeching halt on 07 September when upwards of 40 cm of snow fell on Calgary and region over the next three days. 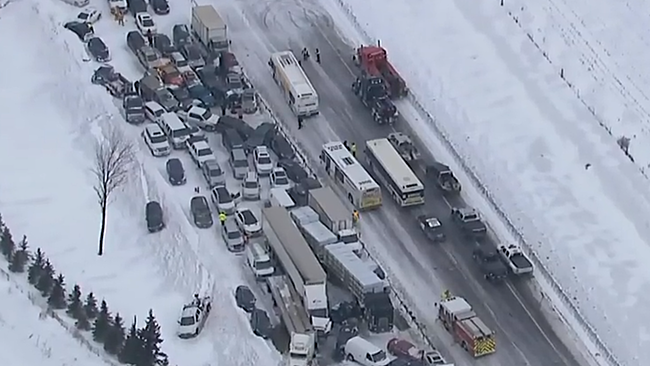 A snow squall is being blamed for causing a massive pileup along Ontario’s Highway 400 near Barrie. Almost 100 vehicles were involved when visibility was reduced to near zero as a squall moved quickly through the region around 9am today. Police say no one was seriously hurt but the highway was shut down for most of the day.